Welcome to all of the Desperate Housewives! 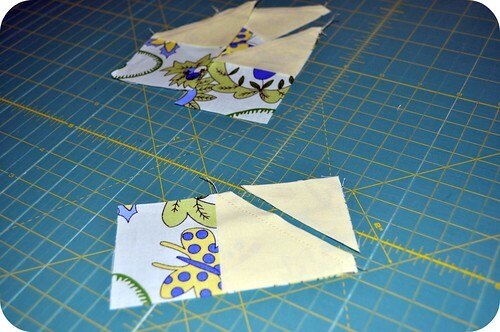 Today I'm offering up a block tutorial as a guest blogger in QuiltJane's Desperate Housewife's Quilt project. 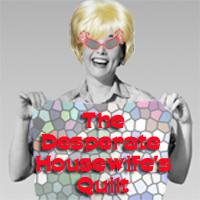 Unfamiliar with the Desperate Housewife's Quilt? Jane is offering 100 8" block tutorials -- 50 of her own + 50 from guest bloggers -- over the course of 50 weeks. Quilters from around the world can choose to make all -- or just some -- of the many blocks. 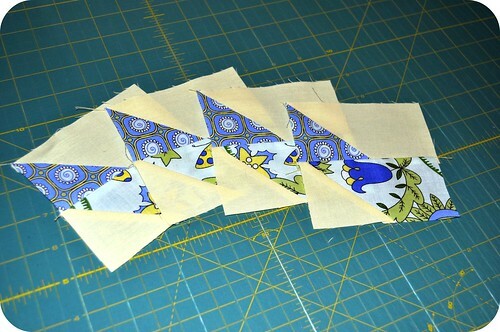 It's shaping up to be a wonderful resource for a wide variety of quilt block designs. 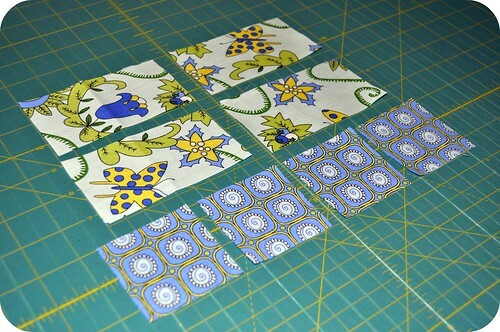 I'm calling my block SpinOut, and I made mine with two prints from Sarah Fielke's new line for Lecien Fabrics, St. Ives, along with a buttery yellow Bella solid. Ready to get started? 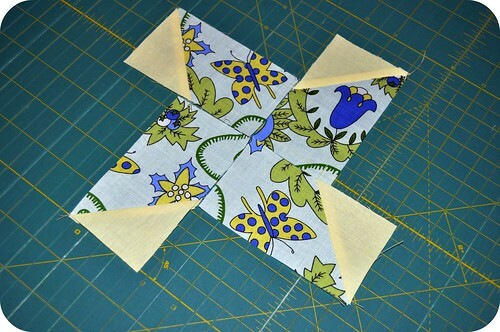 From a solid background fabric, cut 4 - 2 1/2" squares and 2 - 2 1/2" x 4 1/2" rectangles. From print 1, cut 4 - 2 1/2" x 4 1/2" rectangles. From print 2, cut 4 - 2 1/2" squares. Repeat with your remaining print 1 rectangles and solid squares. 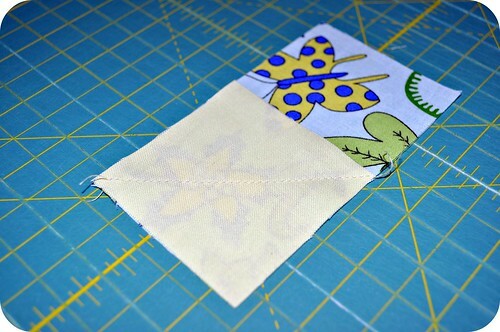 Trim the corners off of your sewn units, leaving a 1/4" seam allowance. Press your seam towards the solid square. Repeat for all 4 units. 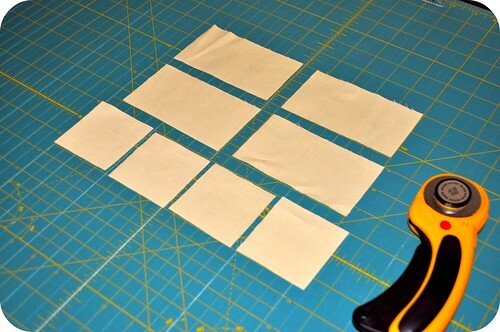 Repeat these same steps, but with your solid color rectangles and print 2 squares. Pair each of your print 1 rectangle units with a solid color rectangle unit. 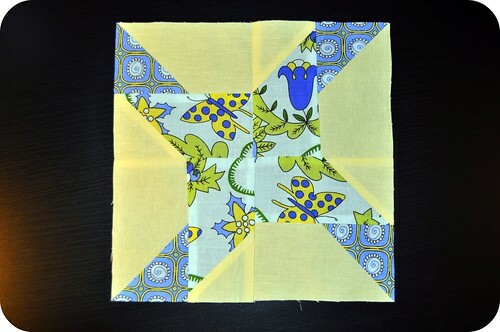 Sew the units together as shown above, creating the four quadrants of your block. 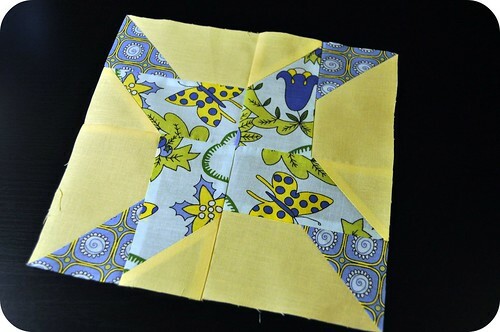 Lay out your four quadrants and sew together as shown above, first creating the top half and then the bottom half of your block, and then sewing the two halves together. Press well and square up to 8.5". I hope you enjoyed the SpinOut block pattern! If you make one, I'd love to see it. 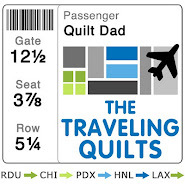 Be sure to add it to my Quilt Dad is my Homeboy Flickr group. Thanks John for presenting such a great block. I can hardly wait for Aussie Sarah's new collection, St Ives to hot the shelves. I really like the construction of this block. Thanks! I love the block! And Sarah Fielke's new fabrics are so much fun! What would the measurements be for cutting if I wanted it to be a 12.5" block? I love your block! 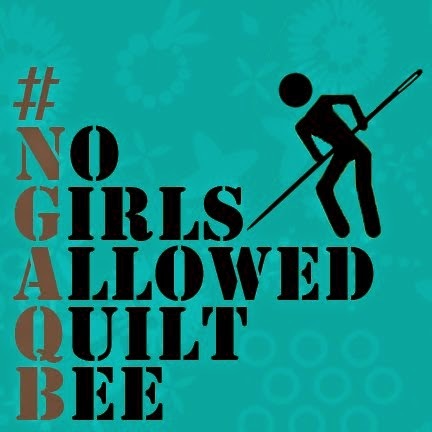 I did not know about the DHQ - that is an AMAZING block resource/quilt along/quilter's crack - WOW! Great block and fabric. Thanks for the tut.